Women’s Empowerment is one of CORO’s themes in all interventions. We have been working on this theme since 1995 through facilitating a women’s group federation (Mahila Mandal Federation). CORO’s interventions on combating violence against women and girls have evolved over time. Currently, our focus is to change the social norms that generate, perpetuate and justify ‘Violence against Women and Girls’ (VAWG). We have built a model of collective and reflective engagements with both men and women to challenge the social norms that generate and perpetuate VAWG at the roots. 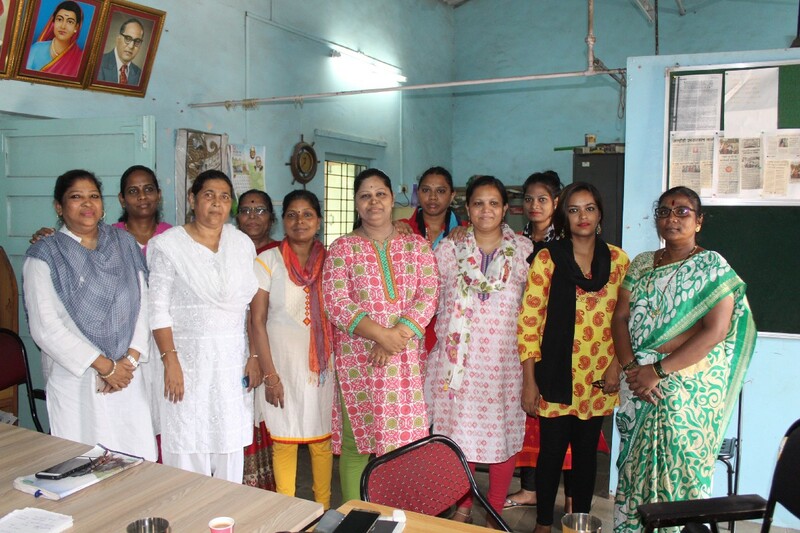 CORO is currently working in Mumbai, Nasik, and Ahmednagar with the family as a unit of intervention and focusing on changing social norms related to VAWG. Police and health systems that are reached for immediate help by women in distress are included as part of the intervention. Given the responsibility of 250 households in their locality, CORO’s women leaders, called Case Registration Centres (CRCs), facilitate dialogue between family and community, mediate conflicts, and take legal action if required. Each of our 32 CRCs is supported by a local Self Help Group, Mahila Mandal, and a community task force. The program’s objective is to challenge the harmful social norms embedded in the family, community, and system (police, administration, and judiciary) through simple behavioral strategies. CRCs and their Support Groups are trained to engage in a variety of strategies to address VAWG in their immediate ecosystems. By using rallies, poster campaigns, wall paintings, and the occassions of holidays and festivals, we direct attention to our collective responsibility to stand against VAWG. CRCs legal capacities are built, for instance with paralegal training from our partners at Majlis, to have sufficient knowledge to file domestic violence cases and even take them to court. CRCs are given training by social workers to counsel families and address conflicts in a professional, strategic manner. By bringing issues of VAWG to the attention of system stakeholders such as the local police and justice system, our team engages in vigorous advocacy on the behalf of community women. In addition to being trained in various behavioral strategies and technical skills related to tackling VAWG, our women leaders also facilitate such capacity building in the community through formal and informal engagement.